In 2018, three major grants were committed to support the development of several candidate TB vaccines: a total of EUR 31.5 million for three large clinical trials. Currently, these clinical trials conducted by 28 research institutions from sub-Saharan Africa, Europe and India, are well underway. The projects are PORTB, priME and MTBVAC in newborns. Please read the article on the EDCTP website. 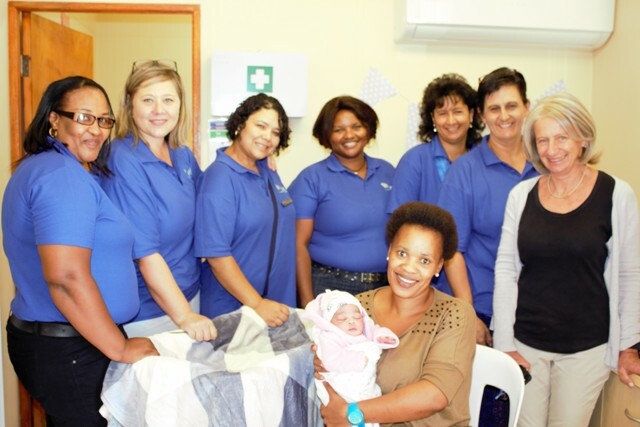 Today the first newborn baby for the MTBVAC 202 Phase 2a trial of a novel TB vaccine was enrolled onto the study and received her study vaccination. This trial is being conducted in the Western Cape, South Africa by the South African Tuberculosis Vaccine Initiative (SATVI), University of Cape Town. In total 99 healthy, BCG naïve, HIV unexposed newborns will be enrolled onto the study in the coming months and carefully followed up over a 12 month period. According to the project coordinator Dr Ingrid Murillo this study marks an important step forward in the development of MTBVAC. This trial, funded and supported by European and Developing Countries Clinical Trials Partnership (EDCTP) will build the bridge to the efficacy trial, the next MTBVAC challenge. The article ‘Vaccination against tuberculosis’ written by C Martin, N Aguilo and J Gonzalo-Asensio Enferm has been published: Infecc Microbiol Clin. 2018 Dec;36(10):648-656. Doi 10.1016/j.eimc.2018.02.006. For information about the clinical trial, please follow the link “Dose-Defining Safety and Immunogenicity Study of MTBVAC in South African Neonates” (ClinicalTrials.gov: NCT03536117). At the EDCTP Forum that was held from 17-21 September 2018 in Lisbon, four EDCTP projects on TB vaccine clinical development presented their vaccine candidate during a symposium ‘TB vaccine development: the results of unique collaborative effort’. The symposium provided an overview of recent progress in the development of TB vaccines and the results from collaborative efforts. It also highlighted the crucial role that EDCTP is playing in the clinical development of TB vaccine candidates. The introductory presentation covered the current state of the TB vaccine pipeline and described a stage gating approach developed by Aeras and TBVI. The developed webtool ‘TB Vaccine Development Pathway’ for the TB vaccine community supports the development of novel vaccine candidates. This presentation was followed by a series of presentations on four large TB vaccine clinical trials recently funded by EDCTP. 28 Research institutions from sub-Saharan Africa, Europe and India will work closely together on these trials. These trials will evaluate the three different vaccine candidates (H56:IC31, VPM1002 and MTBVAC) and represent the largest European investment into clinical development of TB vaccines to date. Finally Aeras presented a collaborative approach to community engagement. 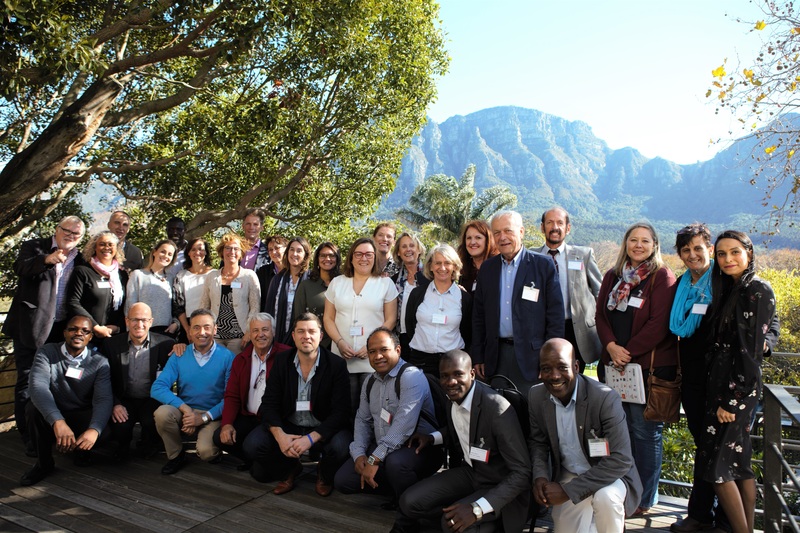 On 6-7 June the kick off meeting of MTBVAC in Newborns took place in Cape Town, South Africa. This project contains a Phase 2a dose-defining safety and immunogenicity study is being carried out. The project includes also capacity building to support vaccine efficacy trials in Tuberculosis-endemic regions of Sub-Saharan Africa. The project is part of the EDCTP2 programme supported by the European Union. Project partners from South Africa (Satvi, UCT), Senegal (CRB-EPLS), Madagascar (IPM), Spain (Biofabri and Unizar) and the Netherlands (TBVI) attended the meeting. Also a representative of EDCTP, Tom Nyirenda, joined the kick off of this project. Furthermore, the Steering Committee held their first face-to-face meeting. Work package leaders and members had the opportunity to be introduced to each other and to discuss about the study approach. The South African partner Satvi hosted also a visit to their field site. The meeting turned out to be a wonderful and promising start of the project.